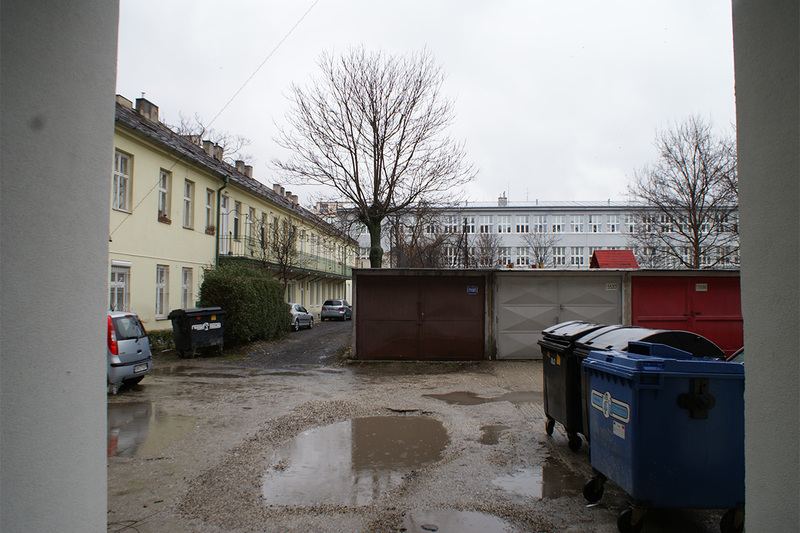 The courtyard at numbers 1 to 5 Tovarenska street makes you feel the burden of the past. There are barred ground floor windows, concrete pavement, garages reflecting a past that should be long gone. Mustiness. The school yard behind the garages hardly allows dim light in, only metaphorically through shouting. 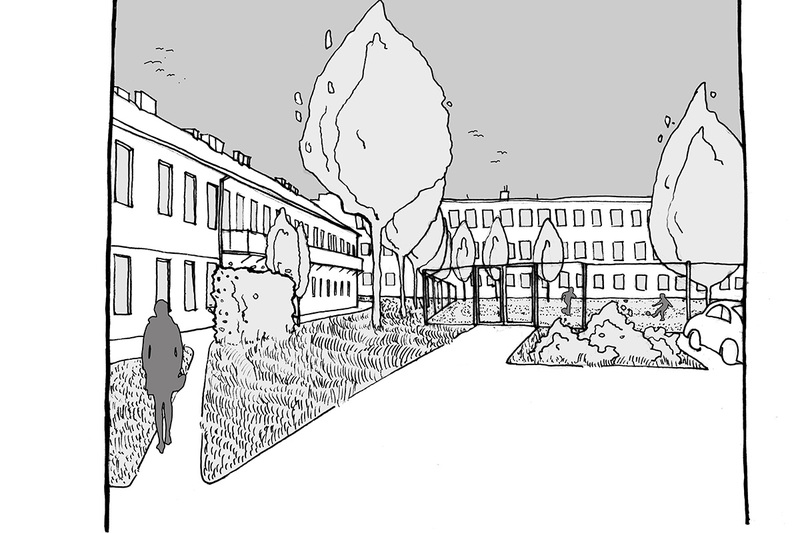 Our proposal, to a certain extent, brings back the times when the garages were not built yet and the school yard was accessible not only from Grosslingova street but also from Tovarenska street. Eliminating the garages could provide parking for all the inhabitants, and it could enlarge the area and bring light in as well. Some additional green parking space could humanize it. We propose to demolish the concrete wall on the west side of the school yard and install a wire fence with a gate instead. 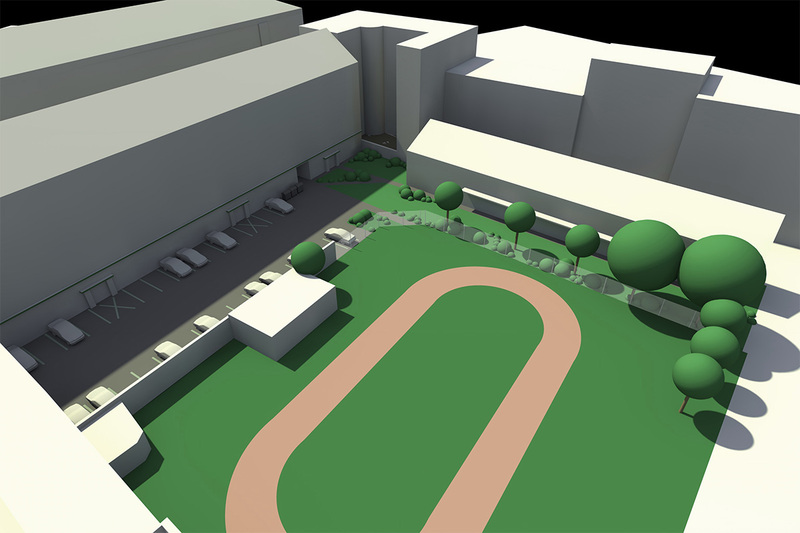 The school yard would function the same way it did during the 1980s when it used to be closed for public during classes, while in the afternoons it would offer space for sport activities to the residents of the area.